In 2006, Anandbabu has taken home loan and purchase his dream home in Ahmedabad. Home loan amount was Rs 7 lakh for 15 years & EMI was Rs 7,200. However, two year later he got transferred to Surat. Instead of renting home at Surat, Anandbabu has bought another house, He could have sold old house to purchase new house but Anandbabu has decided to go for another home loan of Rs 15 lakh for 20 years, for which EMI is about Rs.16, 550. Now Anandbabu has to pay total EMI of 23,750 Rs/-every month, increasing floating interest rates are making it difficult to pay this hefty EMI amount for both home loans. Anandbabu is in highest tax bracket and have to pay 30% tax. Which make it further difficult to save enough to pay both EMIs. Anandbabu was not fully aware about section 24 of income tax. Especially about fact that his tax load can be reduced by availing deduction facility on home loan in case of second home. Let’s understand section 24 income tax benefits of home loan. Home loan repayment has two components principle and interest and both of these components are treated differently for tax calculation purpose. 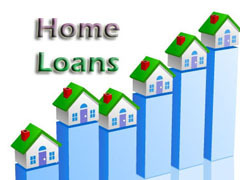 This can be claim for deduction if you are living in the house that you have taken loan for. This amount cannot be claimed for under construction property or for the house in which you are not living. Exception to this condition is that if you are working in different city then you can claim exemption on principle amount of your home loan under 80C. Interest component up to 1.5 lakh is tax deductible under section 24. However in case of home loan on other property principle payment is not allowed for deduction, you can claim only interest for deduction. However good part is there is no limit on the deduction for interest payment on the second loan. This rule is applicable on multiple properties. Whether the second house is purchased purely as an investment option or as a weekend getaway, the interest paid on a loan taken to buy it is tax-deductible. Income from all these homes is taxable in nature. Even if the second/third house is lying vacant, the Income Tax Department will consider that it has a rental value in order to calculate tax. Expenses that can be offset against income from multiple homes are property tax, municipal water charges. Apart from these deductions you can have deduction for 30% of net annual value means 30% of actual rent value can be deducted from your income. If you have several house than you can select one as primary house and the income from this property will be treated as nil and exempt from tax, even if you have actually rented it out. It is for this house that the limit of Rs 1.5 lakh applies for deduction on loan interest. The entire interest amount on the loan taken for the other n number of houses, the income from which is taxable, can be deducted from your income. This applies to any number of houses you can afford. So, if you are in highest tax bracket you can maximize tax saving by purchasing “n” number of house which you can afford by taking home loan. Do post in your comment and review about this benefit. « What is required to be successful in business? Can the benefit be still availed if both the houses are in the same city? Where allowed to apply for a multiple home loan? Just heard that fact here! If I knew that before I would really be doing it, I really thought that we could only get 1 loan each borrower. My bad though! Great Done by You and you really followed by followers whoom feel like this and i really appriciate your openions regarding home loan.Please continue these types of sharing and thanks alot for this one.